1-CD, Digipak Album, 40 pages Booklet, 20 tracks, playing time 44:51 mns. A neglected rock hero finally gets his due. This album contains his complete output, including 10 previously unissued tracks from the Fifties! It also has the first two Duane Eddy songs from his very first, ultra-rare single. Duane Eddy's hits, and all were recorded at the same legendary studio: Ramsey's Recorders, making this an essential purchase for all fans of Eddy and the Phoenix scene. 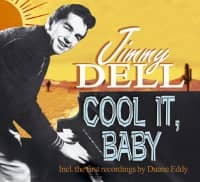 For those who value a knowledge of the most arcane facts of Rock 'n' Roll history, the name Jimmy Dell would be a hundred point question if there were a trivia game for Rockabilly. 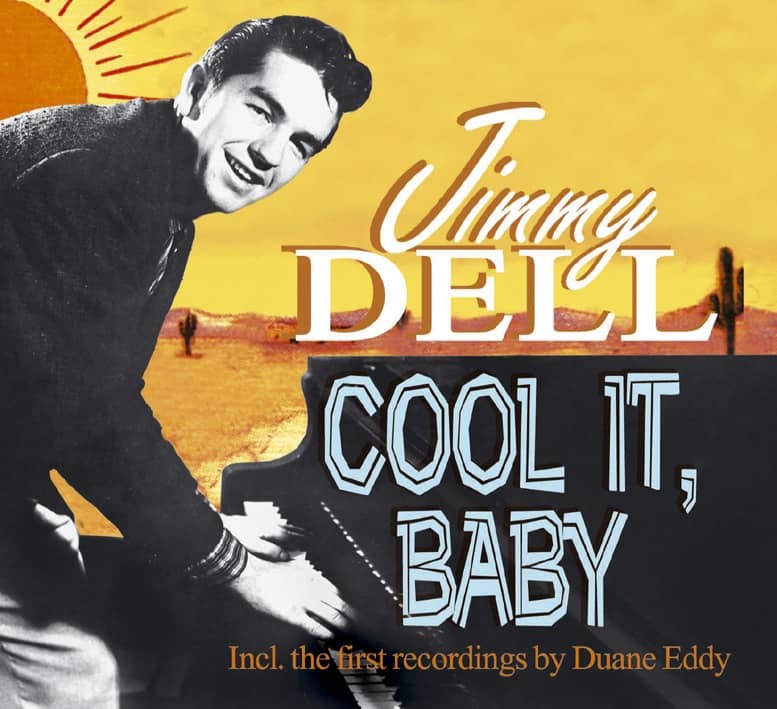 The most astute historian would probably tell you that James Delbridge, aka 'Jimmy Dell,' factored into the early history of Duane Eddy's rise to stardom, as one half of Jimmy And Duane on Eddy's first, impossibly rare, vocal single. 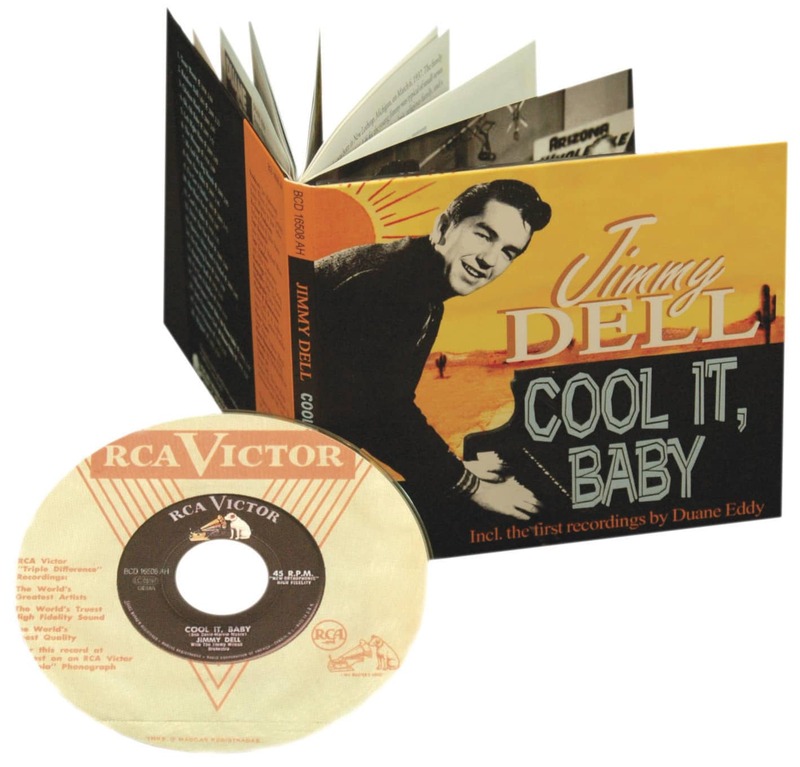 Grand Masters of the same trivia game might be able to tell you that Jimmy Dell also recorded three enjoyable Rock 'n' Roll singles for RCA Victor before dropping into complete obscurity. 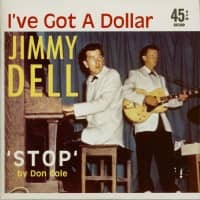 It is a wonder, then, that in this modern digital age, that music fans will discover that Jimmy Dell left behind a scattered legacy worthy of an entire disc of music, and fifty years after the fact, several unreleased songs spring forth from the vault for this collection, to be enjoyed for the first time on compact disc. For Rockabilly fans, this post-modern world is a never-ending cornucopia of new surprises—not the least of which will be this disc you now hold in your hands. Arizona has been unusually fruitful in the amount of great music it produced, especially during the great Rock 'n' Roll era of the 1950s and 1960s. In fact, Bear Family Records has released a number of Arizona-centric single discs and box sets, including the excellent 'Phoenix Panorama: The Viv Story' (BCD 15824), several single-disc releases on Sanford Clark and Al Casey, and the now sadly deleted Duane Eddy box sets 'Twangin' From Phoenix To L.A.' (BCD 15778) and 'Deep In The Heart Of Twangsville' (BCD 16271), all of which offer an excellent view of the talent that sprang forth from the desert floor around Phoenix. There is also a great two-volume sampler compilation, 'Rockin' And Boppin' In The Desert: Arizona Rockabilly', Volumes 1 and 2 (BCD 16230 and BCD 16683), highly recommended if you don't have any of the other releases. It was this fertile Arizona music scene that spawned superstar Duane Eddy, über-producer Lee Hazlewood, one-hit wonder Sanford Clark, and consummate session guitarist Al Casey. Phoenix also produced the likes of Lonesome Long John Roller, the man who sat in a car atop a 40-foot pole for 244 days in order to win it, recording a classic Rockabilly 45, Long John's Flagpole Rock, from his perch in the sky. Arizona, steeped in the history of the Wild West, had its characters, and James Delbridge, aka 'Jimmy Dell,' fit right in the mix. James Delbridge was born in New Lothrop, Michigan, on March 6, 1937. The family moved to Coolidge, Arizona in 1946. Life for the young Jimmy was typical of small-town country life in America during the last century—with a close-knit, religious family, and a love of music. It was at Coolidge High School that Delbridge met Duane Eddy for the first time. Both were students at the same school, but Jimmy didn't know who he was until he heard him performing on the local radio station. When the station announced that Duane was a Coolidge High School student, Jimmy made a point of searching Duane out in school the next day, and invited him to come play music at his house sometime. The two had a mutual love of music, and before long, the pair were performing as a duo on local radio station KCKY as Jimmy And Duane. At first, both played guitar, but after a few months, Duane suggested that Jimmy switch to the piano. Jimmy had never played a keyboard instrument before, but it wasn't long before he had figured his way around the 88's. KCKY was also the radio station where Jimmy & Duane met Lee Hazlewood, the man who would ultimately catapult Eddy's career into stardom. When they met, Hazlewood was a country music disc jockey that specialized in a dual-character role between himself and a fictional curmudgeon named Eb X. Preston. In stark contrast to what was to come later, Jimmy & Duane's early musical upbringing was a strict diet of hillbilly music, duets sung in the style of Louvin or Delmore Brothers, lots of gospel music too, with the occasional 'take-off guitar' solo thrown in for good measure. Eddy played with a thumbpick in the style of Chet Atkins at the time, nothing at all like the twangy single-note melody style that would later make him famous. Jimmy & Duane, who also went by the nom de plume The Coolidge Kids, performed on radio as well as the occasional appearance on a local Phoenix television station, and on Saturday nights, Lee Hazlewood would drive the duo into Phoenix to perform at the Madison Square Garden Country Music Jamboree. A photo of the group from the 1954/1955 period shows Jimmy and Duane in a group that also featured Jimmy's brother Bill on banjo, and Duane's other high school guitar-playing buddy Ed Myers on rhythm guitar. This line-up of the group played together for the live performances, but never recorded. Hazlewood made plans for the duo to record, and in June 1955 the pair entered Ramsey Recorders in Phoenix (the same studio where Duane Eddy's big hits would also later be recorded) for a midnight session with Hazlewood at the helm. Jimmy and Duane were backed on the session by a local Western Swing outfit, Buddy Long and The Western Melody Boys. The result was a pair of songs, Soda Fountain Girl and I Want Some Lovin' Baby, which Hazlewood released on his own Eb X. Preston label, named after the alter ego character he played on the radio. Both sides were hillbilly duets in the style of Jimmy & Johnny or Rusty & Doug Kershaw Brothers, or any number of unsophisticated rural 'brother' acts of the day. 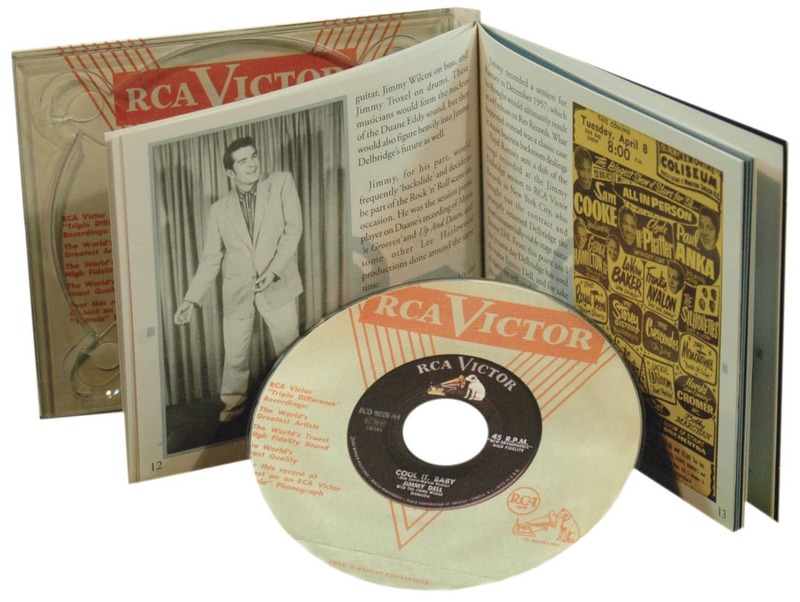 The single was an auspicious debut for the future megastar Duane Eddy, showing absolutely no signs of the trademark sound that he would later make famous. 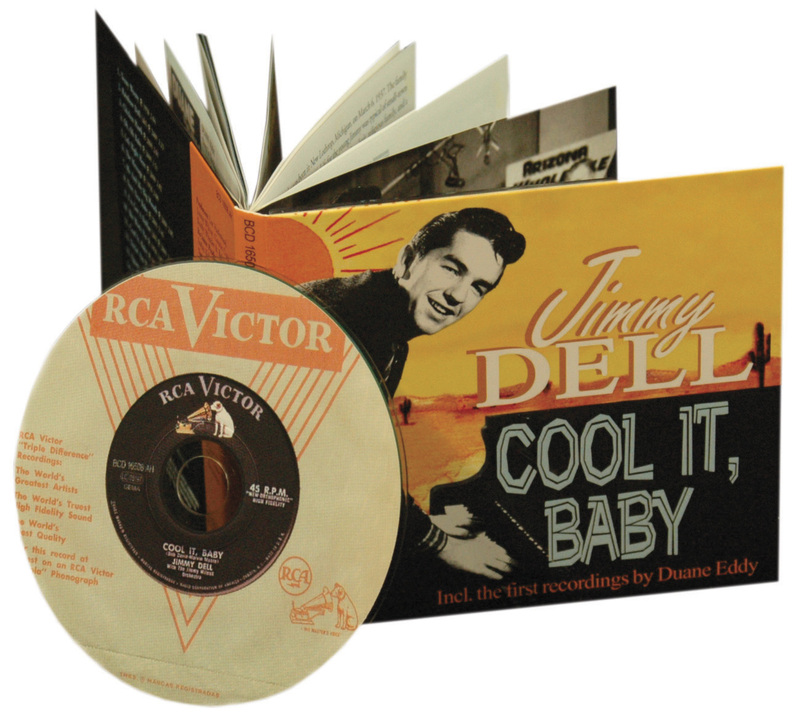 Neither song had hit potential, and the 45 is not a particularly great record, but it was a start in the music business for Duane Eddy, Lee Hazlewood, and Jimmy Delbridge. The record sold few copies, and today is so rare that when it comes up for sale, a rare event in itself, it sells for several thousand dollars. Customer evaluation for "Cool It Baby"